Fi'zi:k is a specialist in products that govern the interface between man and machine: saddles, bar tape and shoes that work in harmony with you as you ride. In 1996 fi'zi:k set out on a journey to improve rider performance by producing saddles for superior ride comfort. In 2015, this same purpose drives fi'iz:k to produce shoes fit for high performance. After dedicated Italian craftsmen have breathed life into eclectic raw materials, the resulting shoe extols all the virtues associated with a superb fit: maximising power transfer, while boasting a sharp aesthetic to boot! "Life is a road and the road is my life". 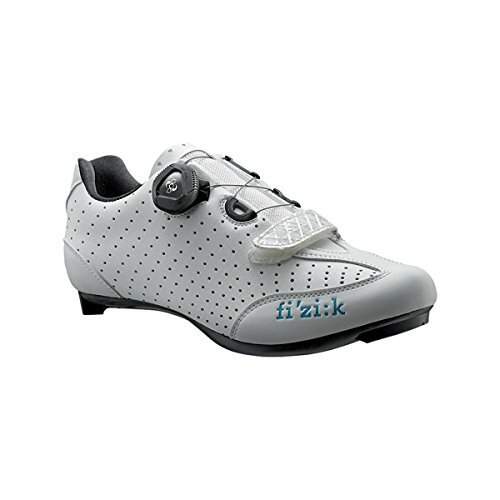 The Fi'zi:k Women's road shoe range has been designed specifically for women: the shoes are not simply small men's shoes! They have specifically-designed panelling in the upper, a narrower heel cup and lower forefoot volume. The R3B is for the racer. This shoe provides all you need to stay ahead of the peloton: excellent comfort, low weight and the sharp aesthetic that's sure to attract envious glances!